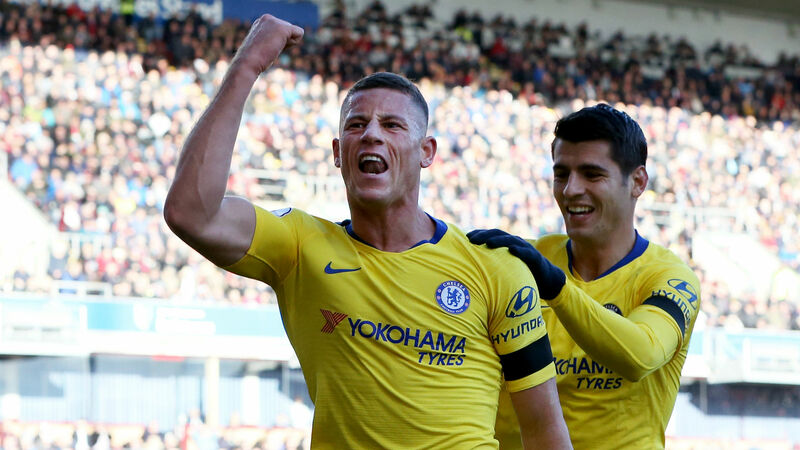 Ahead of facing his boyhood club this weekend, Ross Barkley's progress since was singled out for praise by Chelsea's Maurizio Sarri. After a shaky start upon Sarri's arrival and with the Blues hosting Everton on Sunday, the Italian coach was candid but lauded Barkley's improvement. "At the beginning, in the first month, Ross was in trouble," he said. "But then he started to improve in every training session, in every match. "I am surprised how he has adapted if I think back to the first month, but not if I think of the last two months." Chelsea remain the only undefeated club in Europe's top five leagues at this stage, opening the season with a 17-game run, yet sit two points off league-leading Manchester City. Although Sarri has preferred a midfield trio of N'Golo Kante, Jorginho and Mateo Kovacic, Barkley has become a dependable alternative, scoring three goals in the past five appearances. Barkley's versatility and heightened tactical awareness due to more time on the pitch, according to the 59-year-old, puts him ahead of Ruben Loftus-Cheek in Chelsea's midfield pecking order. "At the moment, from a tactical point of view, Ross is a step ahead of Loftus-Cheek because Ruben in the first part of the season had two or three little injuries," Sarri said. "I like Ross very much. He is a complete player. He has physical qualities, he is fast. Technically he's very good. "He kicks well with his left foot and his right. He's improving in moving the ball. He has become mentally quicker and he is improving tactically. He is on the way to becoming a very important midfielder, not only for us but also for England."